Horizon takes pride in delivering professional services with a team approach and our clients agree! Read what they have to say about our commitment to excellence. Horizon Landscaping completed a $1M+ project at our senior housing community. The project required multiple sub-contractors in a variety of trades. I cannot compliment Horizon enough on the manner in which they managed the project. Horizon’s workmen were extremely polite and considerate of the seniors living onsite. They worked well with our in-house maintenance staff and other on-site contractors, staying out of the way of one another and always offering to lend a hand to resolve problems. The quality of the work exceeded our expectations, and, with the help of Horizon’s suggestions around further improving our property and simplifying the upkeep of our grounds, we were also able to use Horizon for additional, smaller projects as we could fit them into our budget. As a side note, Horizon recently finished a small project at my home and I received the same results: considerate service and conscientious work. Not only did Horizon agree to replace my back fence, but Bruce VanDenBerg made a point of offering great ideas around how I might make further improvements in my backyard to make it a more enjoyable space. He was respectful of my budget, and even suggested how I might stage other improvements for efficiency in accomplishing the work and ease of budgeting. If you’re wanting an established, experienced, full service landscaping company that provides excellent service, call Horizon Landscaping & Irrigation. Denver Christian School has used Horizon Landscape and Irrigation for many years. Prior to move to our new campus in 2014, we actually had three campuses that Horizon was entrusted to maintain the decorative areas, playgrounds, athletic fields and even plowed the parking areas. Horizon displayed its depth of knowledge in 2008 when we turned a playground area into a soccer/football field. The grass was stressed from the construction and a hot summer. Horizon stepped in with a plan to aureate, and top dress the fields, and increase the irrigation three weeks prior to the season starting. That action resulted in Denver Christian having one of the nicest grass playing fields in the area. So it was no surprise, when given the opportunity in our new combined campus, a beautiful 20 acre facility, we trust no other company but Horizon Landscape to keep our grounds clean, manicured and welcoming. As a school, we appreciate that Horizon has always been mindful of our budget and comes along side us to be resourceful and inventive when needed. We couldn’t be more pleased to have Horizon Landscaping as our grounds maintenance provider. 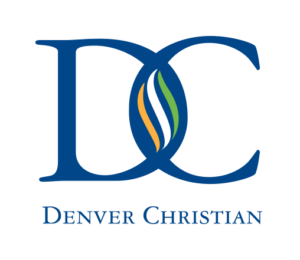 Facilities Manager, Denver Christian School.